The unique biting mechanism of the cockroach consists of horizontal mandibles that are incredibly sharp and packed into the tiny space of the insect’s mouth. These teeth are used to eat, dig, fight, move or even to feed baby cockroaches. 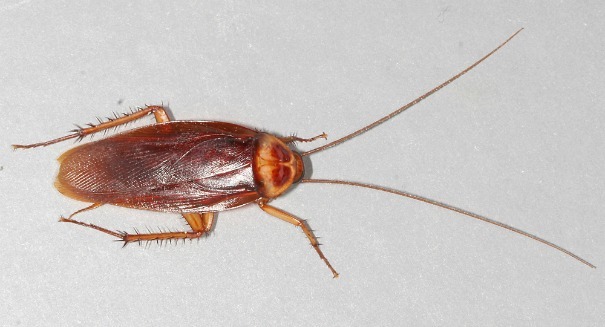 A cockroach can bite with a force 50 times greater than its body weight- that’s five times stronger than a human. The pests are able to do this thanks to a special set of muscles that build up strength to ‘turbocharge’ their jaws, according to a new study published in the journal Public Library of Science ONE. Weihmann and his team wanted to find out how such a jaw could work so effectively in the tiny head of a cockroach. To do so, they measured the bite force of hundreds of cockroaches. After sedating the insect with freezing temperatures, the researchers placed it in an aluminum holder while lying on its back. They affixed the cockroach by gluing its head to the holder with dental glue. There was also a notch over the throat to keep the head in place. Instinctually, the cockroach began biting furiously to try and escape. After measuring over three hundred bites, they discovered the bugs had a wide range of bite strength and duration. Scientists are interested in studying animal superpowers like this in the hopes of discovering new techniques to create more powerful machines for humans. Engineers could incorporate the cockroach’s technique to make small, strong motors or perhaps even very small surgical equipment. “As insects play a dominant role in many ecosystems, understanding the amount of force that these insects can exert through their mandibles is a pivotal step in better understanding behavioral and ecological processes and enabling bio-inspired engineering,” said Dr. Weihmann.